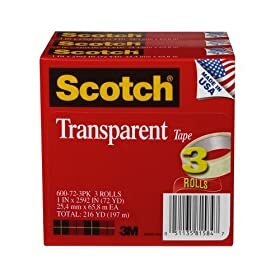 Scotch® Transparent Tape is a glossy finish, high clarity tape. Instant adhesion with excellent holding power.Long aging, pulls off the roll smoothly, cuts easily, moisture-resistant. Handy 3-pack to avoid out-of-stock hassles. Photo safe, made in USA. *WILL SELL OUT* LEGO Dimensions Fun Packs ONLY $7.49 Shipped!